We already are what we wish to become. Join inspiring, life-transformational leader Melissa Joy on a journey to the heart of interactive reality creation, where self-love is the new normal. Humanity is in a position that we have never been in previously, on new and unfamiliar terrain. You may be at a place in your own life where you are aware that �tried and true� behaviors and beliefs are no longer working. You may be unsure how to proceed. 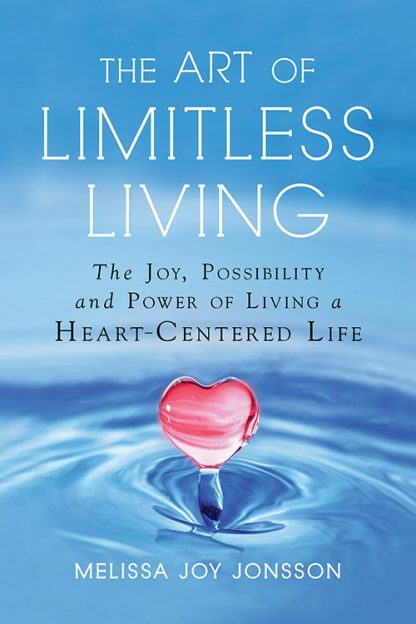 Through a brilliant weave of unique language, testimonials, and practical play, The Art of Limitless Living provides multiple access points for creating new self-loving maps to navigate through changing landscapes. Why the notion that we create our own reality is only half true. Why heart-centered awareness is key to self-love, authenticity, completion, and transcending your stories. How to bridge the gap between limitless potential and limitation. How to leverage placeholders, heart-mind synthesis, and fluid boundaries. How to overcome problems with family, friends, work, and society. How to apply equal service to self and others to change prevailing paradigms. How to transcend addictions and distractions. How curiosity can transform predictability into possibility and create a new reality, right now. Melissa Joy Jonsson is the founder of M-Joy, a unifying �we� movement that provides a new language to experience self-love as integrity. She is best known for her ability to engage people to embrace their true authentic power by playing in the field of the heart. Melissa has been teaching popular life-transformational seminars around the world since 2008. As an intuitive coach and holistic practitioner, Melissa has a diverse client base in more than 25 countries. Melissa spent more than a decade as an executive in the pharmaceutical industry. She is the author of Little Book of Big Potentials, Practical Play the Heart-Centered Way, and M-Joy Practically Speaking. Melissa has a bachelor�s degree in psychology from the University of California at Santa Barbara. She resides in San Diego, California. To learn more, please visit�www.MJoyHeartField.com.